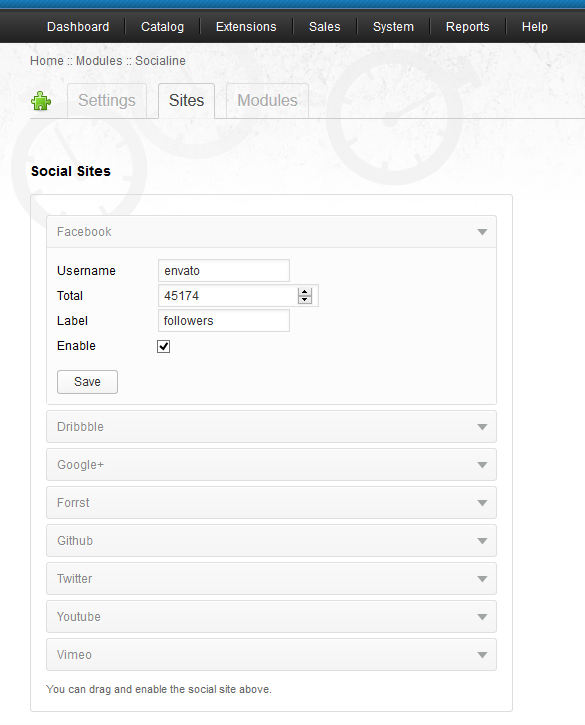 This module comes with a ton of visual options and easy to customize, uses the powerful social sites API for the counter. Every module is pulled via Ajax call and will not prevent another web element to load. Built your own counter template(s) with just simple steps, customize the stylesheet, create template animations with jQuery, share the template to other peoples. Place this module anywhere wherever you like, top, bottom, right or left or even custom layout. Easy installation, no hardcoding needed! 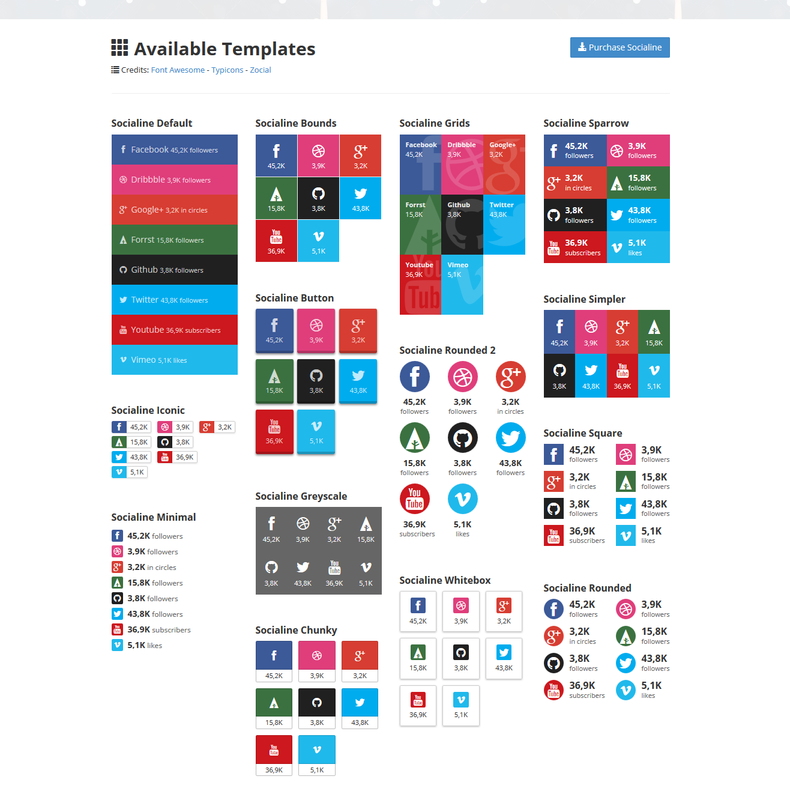 Supports Facebook, Dribbble, Google+, Forrst, Github, Twitter, Youtube, and Vimeo. Optional kilo K, million M and thousand separator. Can be used in template. 13+ predefined flat style templates. Template tags for creating your new template. 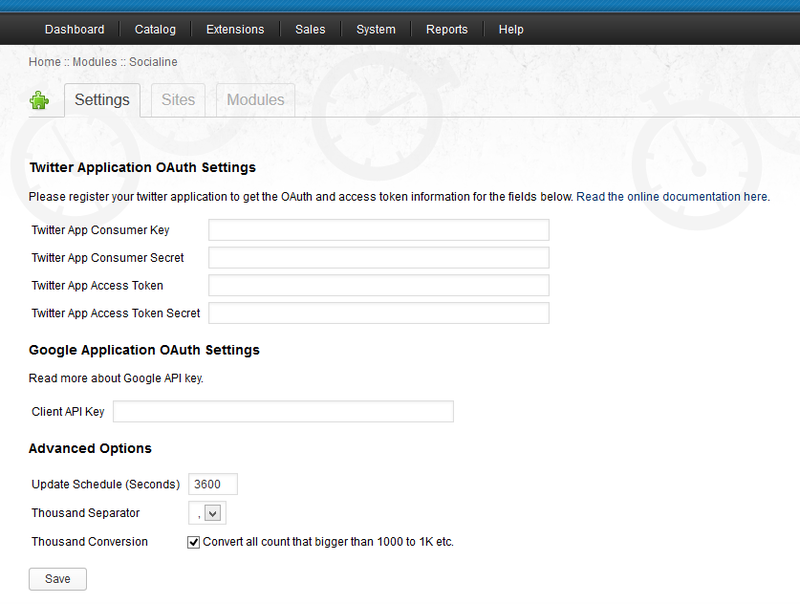 This module does not match to your site style? Is this script not quite working as it should? Having trouble installing? Or need some custom modifications that aren’t already included? Or you want more features on next release? Feel free to get in touch about any of your queries via profile page.